Wine tasters may be at high risk for enamel stain and erosion. Why? 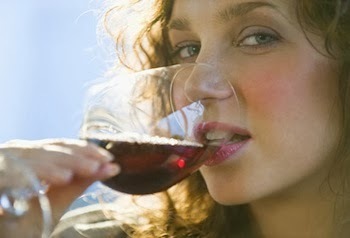 Sipping wine many times a day -- and swishing it in the mouth -- increases the enamel's exposure to damaging acids. That is why it's better to drink a glass of wine, soda, or sweet tea with a meal instead of sipping it over several hours. Your Mouth Is Not a Bottle Opener!